Subsequently to this press release, we at DNAlytics and our colleagues at VIB and KULeuven received many inquiries from patients willing to benefit from the test. We invite the interested patients to register here for more information about when the test will be available, and ongoing validation programs. Disclaimer: ColonoKit is an innovation by DNAlytics which is not yet granted with market access. 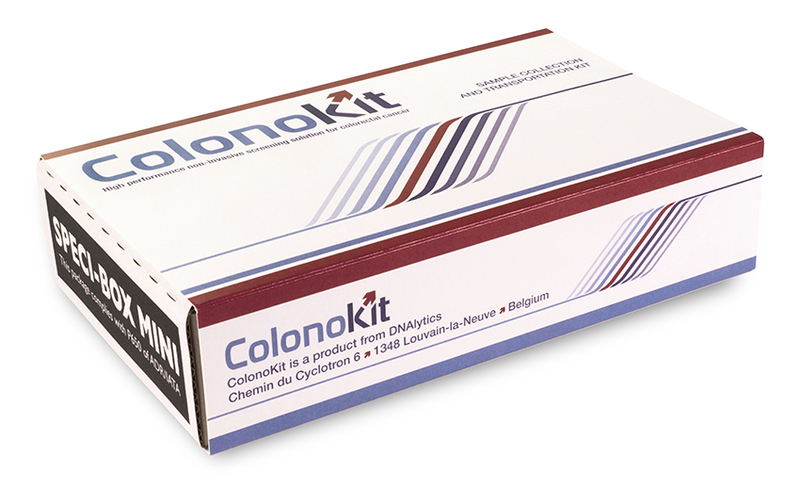 ColonoKit is based on the measurement of a series of 22 transcriptomic markers (mRNA) in a specific subpopulation of cells (monocytes) extracted from simple blood samples. The extraction of these particular cells can be performed manually and fast in clinical biology laboratory within most hospitals based on simple devices capturing monocytes specifically. 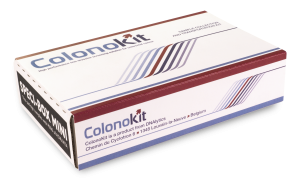 The procedure has been standardized and the consumables required can be purchased from very well-known providers. The sole constraint is to extract these cells within a limited time frame after blood sampling. Using a transportation kit designed and validated by DNAlytics, the samples are brought to a central laboratory for mRNA extraction, and a genomic experiment is performed to assess the level of expression (“activity”) of the gene signature components. These laboratory results are fed into a mathematical model that predicts the status of the patient: cancerous or not. If the prediction is positive (cancer) the patient is redirected to colonoscopy, which is still the gold standard nowadays. Overall, about 550 samples have been prospectively collected for this project so far.